Oxford, who spent last season on loan at Borussia Monchengladbach, signed a four-and-a-half-year contract with the Hammers in 2016 after reported interest from Premier League rivals Manchester United and Manchester City. However, the 19-year-old has endured limited opportunities since Slaven Bilic's departure - and with the arrival of several high-profile players this summer such as Felipe Anderson, Issa Diop, Andriy Yarmolenko and Jack Wilshere, the club are now willing to let him go. Oxford made his debut for West Ham as a 16-year-old under Bilic, becoming the club's youngest-ever player, and has since become an England U20 international. He can operate as a centre-back or as a defensive midfielder. 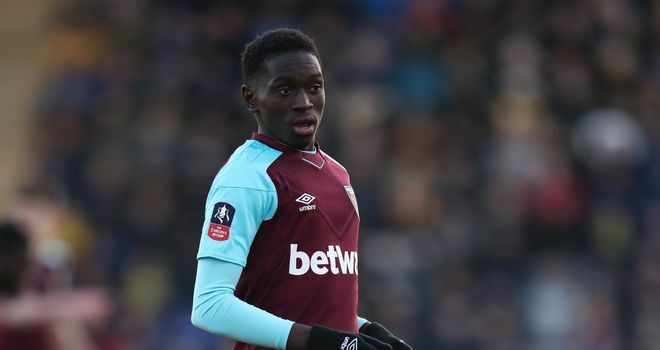 Elsewhere, Barcelona are the latest club to enquire about the availability of West Ham teenager Domingos Quina. Barca scouts have been monitoring the 18-year old who scored a sensational goal for Portugal U19s against Italy last week in the UEFA European U19 Championships. It is understood Hoffenheim and Werder Bremen are also keen to sign the midfielder, who is in the last year of his contract, with West Ham willing to sell for around £600k according to Sky sources. Manchester City boss Pep Guardiola has warned his players the Premier League title race is not over ahead of their 'tough' trip to Burnley on Sunday.